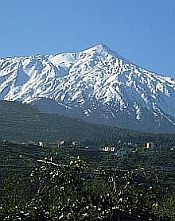 The municipality of La Orotava is the largest in Tenerife, containing a large part of Mount Teide National Park, plus the "Lungs of Tenerife", La Corona Forestal National Park. The town itself, with a population today of 40,000, was originally populated, after the Spanish Conquest, by noble families from not only Spain, but Italian and Flemish too. It still displays the cultural richness of this heritage. It is a showcase of traditional Canarian architecture, with picturesque squares and wide streets. Within its environs, you will find elegant churches, Renaissance mansions and traditional Canarian houses with balconies and courtyards. The historical center - perfectly conserved - has been declared of National Historical and Artistic Interest. The town is well-known for its tradition of craftmaking, where you can find ceramics, laces, wood work and leather. There are museums and centers displaying these, such as the Museo de Artesanía Torrehermosa and the Museo de Artesanía Iberoamericana. Traditional Canarian culture is represented, with folk music groups, Canarian sports and local festivals like the Romería de San Andrés. If you are visiting in June, you'll be lucky enough to see the celebrations for the Feast of Corpus Christi. Streets are covered in flower carpets and the town hall is where you'll see the main display - a huge tapestry of flowers, coloured soil and sand. This has just entered the Guinness Book of Records as the largest of its kind in the world. Don't miss the Casa de los Balcones. Gaze at the many ornate balconies and wander through the inner courtyards with superb views over the valley. 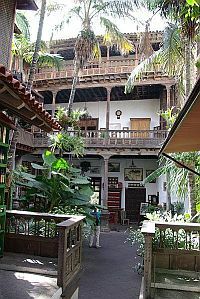 Casa Méndez-Fonseca has an especially beautiful inner courtyard plus a museum upstairs with a very cheap entrance fee. Included in this, you also get the added treat of some local wine tasting. 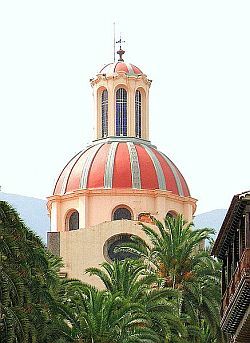 A prominent landmark of La Orotava is the Iglesia de la Concepción, with its dome and twin towers. Such is its design, you might think you were somewhere like Moscow. It photographs well in daylight, but creates a beautiful image in early twilight, when the dome is underlit. If you like to walk round floral displays, you can visit the Victoria Gardens and marvel at the immaculately manicured lawns and flower beds, then contrast this with the Botanical Garden, with its lavish collection of tropical blooms. Try Zona Kiú in the Casa de Ponte-Fonte. Serving lunch and dinner, choose to eat indoors, or al fresco, in the courtyard. This fine restaurant serves five-star food complemented by the best of La Orotava’s excellent wines.